Catherine Hedglon advises clients in matters relating to general liability, personal injury, wrongful death, products liability, and professional and medical malpractice claims. 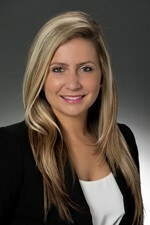 She handles all aspects of litigation—from client retention to jury trials and post-trial appellate motions—for her clients, which include multinational Fortune 500 companies in the areas of general premises liability, personal injury, insurance coverage, products liability, and negligent security. As part of her product liability practice, Catherine also represents clients in a variety of construction matters, including defect litigation, as well as those relating to building products and building violations and code compliance issues. Prior to joining Hinshaw, Catherine was an associate attorney at a national defense firm, where her practice focused on premises liability litigation for multi-national Fortune 500 companies. During law school, she clerked for a Miami law firm focusing on Securities & Finance litigation. Additionally, served as a law clerk to the Honorable Robin S. Rosenbaum, now U.S. Court of Appeals, Eleventh Circuit, and formerly U.S. District Court, Southern District of Florida. Catherine's law school accomplishments include having been a member of the Dean's List, and receiving honors in Criminal Law. She was also a member of Phi Alpha Delta and volunteered in her law school's Health Rights Clinic.